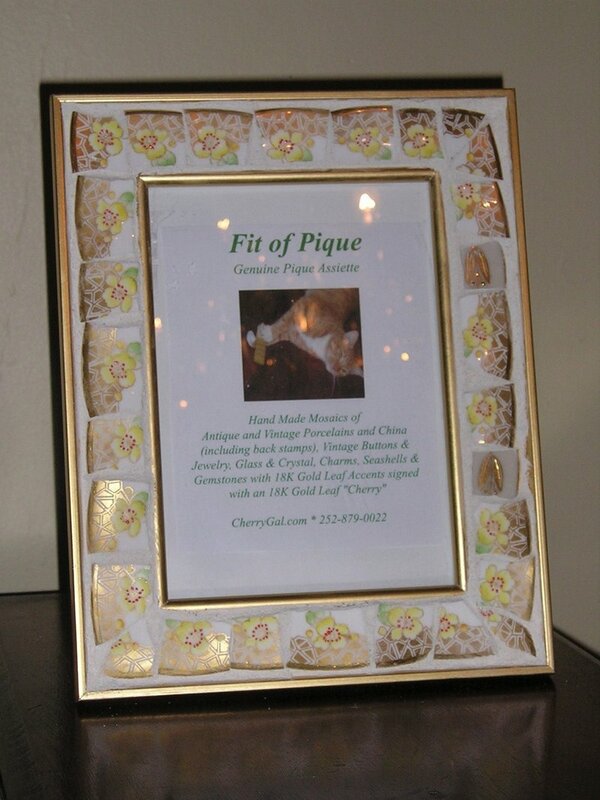 In the manner of true Pique Assiette, the pieces were broken or hand cut. The vintage Royal Albert gold and yellow floral pattern is heavily gilded (so much so that it was a challenge to photograph. 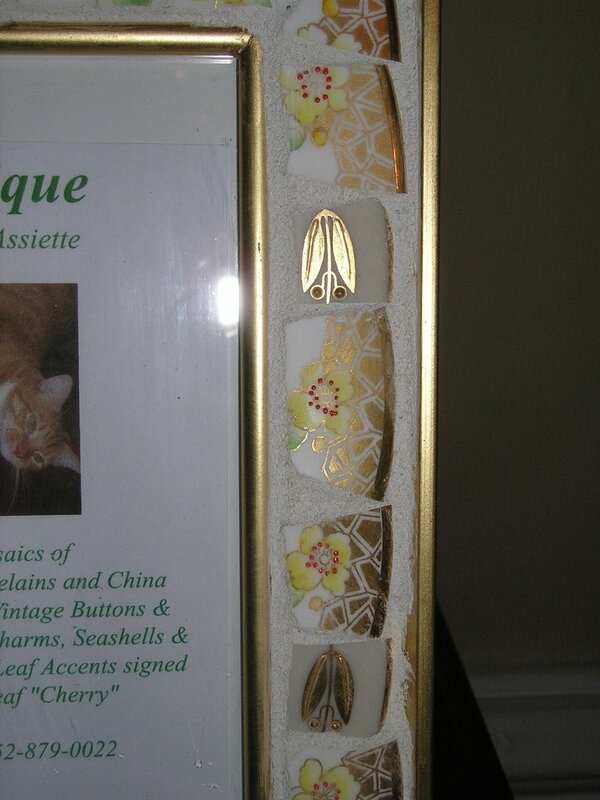 I also included two Lenox gold leaves from another pattern. The exterior and interior rims are golden. 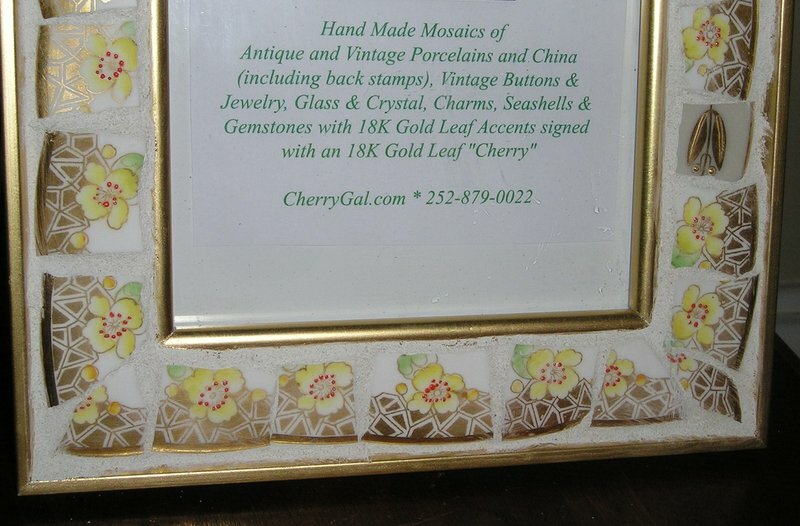 Although there is no backstamp, I have signed the frame with my 18K gold cherries mark on the central left. Overall, the golden design is striking and meant for a very special photo! 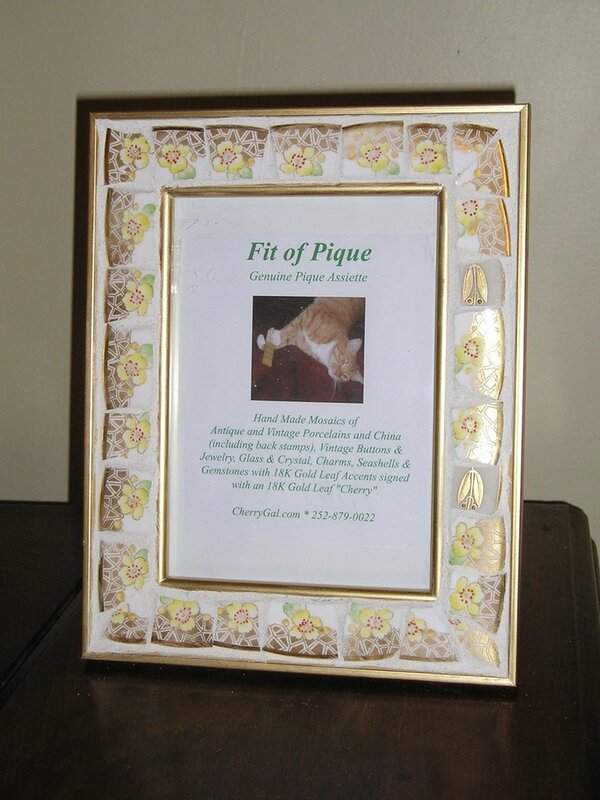 The frame measures 9.75" x 7.5" and holds a 5 x 7 photograph. 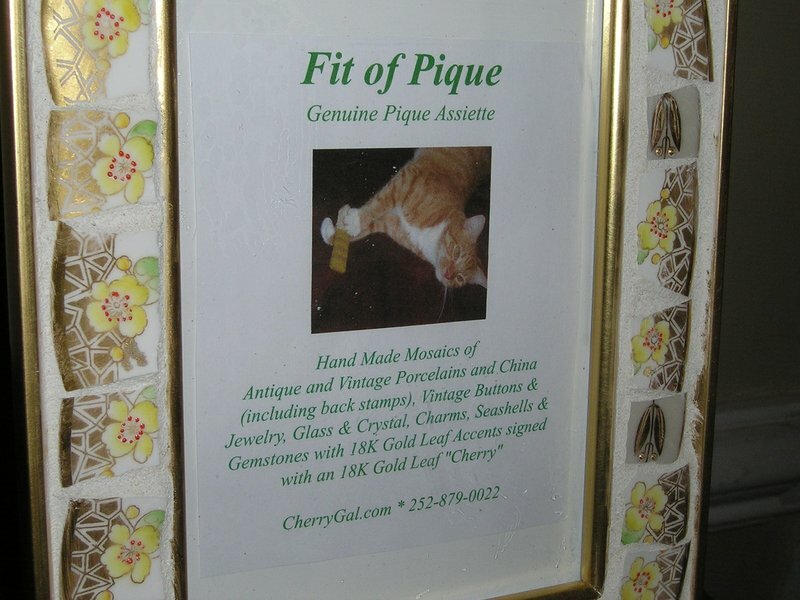 CherryGal's Fit Of Pique Genuine Pique Assiette Mosaics combine antique and vintage porcelains and china (including back stamps), figurines, buttons, jewelry, glass, charms, sea shells, semi-precious stones, genuine Swarovski crystals, 18K Gold and Silver Leaf Accents and signed with an 18K Gold or Silver "Cherries" mark. The style is organic, with an archaeological effect as if washed up on a beach or dug from the earth. 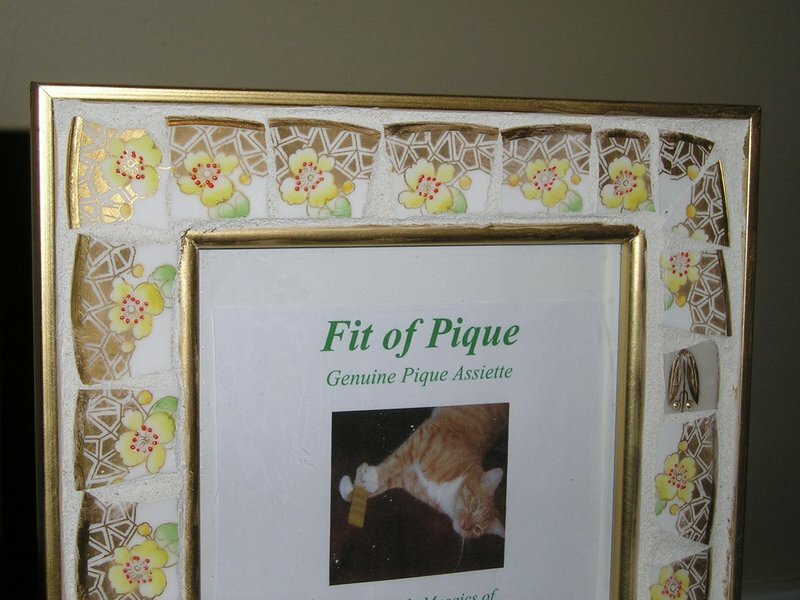 Each Fit Of Pique is a unique work of art. Fit Of Pique BLUE PAISLEY PEWTER BIRD Hand Made Mosaic Terra Cotta Garden Pot 6"
Fit Of Pique RED WHITE & BLUE Hand Made Mosaic Terra Cotta Garden Pot 6"
Fit Of Pique COALPORT EGYPTIAN Hand Made Mosaic Terra Cotta Garden Pot 8"
Fit Of Pique DAINTY BLUE Hand Made Mosaic Terra Cotta Garden Pot 4.5"
Fit Of Pique FLORETTE Hand Made Mosaic Terra Cotta Garden Pot 6"
Seed shipping is fully underway now and orders are usually processed within 1-2 days. We reserve the option to hold small orders when a variety is not yet in until it can be filled completely. For larger orders, we ship what is available and back-order the remainder. 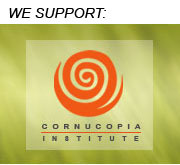 If you have any questions, please email us using the contact link on the website. Thank you!